One Piece 823 Spoilers: The last Chapter end with Apoo tells Kaidou that the communication with Jack has been interrupted on the sea…!!! So what happens next..? find out story on One Piece 823 Spoiler Discussion 「ワンピース ネタバレ」 第823話 at Mangaspoiler.com. if you would like to discuss the Spoiler or prediction, please leave a comment below. – Stelly (Sabo’s brother) is now the King of Goa’s Kingdom. – Carrot is on Thousand Sunny. – The base of Revolutionary Army is destroyed. Vivi and the others are departing. Guarding the convoy is rear admiral Hina. Cobra was put on wheelchairs due to a disease, but no matter what he wants to attend this reverie. On the topic : “(discussion) about poneglyphs”, “what did a neftari family king did to the world a long time ago”. Sabo’s brother in law Stelly has become the king of the Goa kingdom. 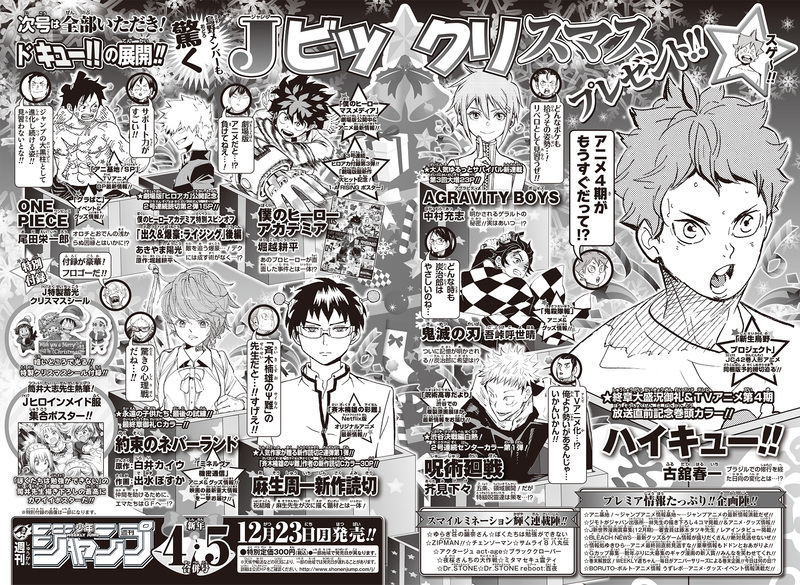 Wano country , Black Drum Kingdom(Wapol’s kingdom),Sakura Kingdom, Dressrosa, Prodence Kingdom, Ryugu Kingdom and others are expected to participate. Nami is making launch because Sanji is not there. One Piece 823 Spoiler Trivia: Hawkins name is taken from Sir John hawkins. And x drake is from john hawkin’s cousin, sir Francis drake. I wonder why Roger didn’t use CoA haki when he was executed? so he can motivate new pirates to start their journey, or else he would die anyway from that disease. this way his death did something. @The Brak I don’t think it’s that he couldn’t I don’t think he wanted to. He turned himself in, meaning he resigned himself to his fate. He asked Garp to raise Ace in his stead because he knew what he was doing. @kizaruuu Wind Breaker is back! Who said that? when there is a break there should be a break mentioned in the last chapter, unless there is a magazine break. Break will be next week for Golden week. This week we get a chapter. Anything Caesar did to the children you have to include here since she was the one who gave them the Candy after their visits with Caesar. She has no redeeming qualities and knowing less about her than Caesar doesn’t help her case imo. She just did what she did because she was evil. Caesar did what he did in the name of science. I am with you he probably shouldn’t join but I think it is a better choice and more plausible than Monet. Sanji is a prince and he will be at the reverie. tea partt is after the reverie. Sanji is at Big Moms and the Reverie will most likely take place after the end of Big Mom arc depending on how long that lasts. Sanji’s it is possible his father is head of some kingdom making Sanji a prince, hence why 3rd son would be important, but I have moved away from this theory since they were revealed to be a family of assassins. I don’t see the connection between the circle on Zoro’s arm and Jack. What am I missing? You can see the letters c and k, supposedly. Ah…so they think the missing letters are J-A huh? So what is the star about then? I don’t think we will be seeing Zoro vs. Jack he is going to Wano he will probably have to fight the Shogun if not a Samurai during that arc. I just don’t see Zoro vs. Jack happening never did and still don’t. that would make the name Jack…forshadowing?…a stretch imo…. Guys a proposition. Making new site with manga spoilers + board + extras (articles). Its been maturing in my head for a long time. I could take on myself all the technical stuff but still need press-guys anyone in? asme : last three epsiode last 70-80 minute. so so thats fine with the pacing. Uchiha Itachi : You dare mess with our feelings Oda ? Go home ur drunk! And stop taking too many breaks, stop being a lazy bum!